Reliance Industries, Inc. has been working with its costumers to automate their operations while providing accurate information in reports and real time data. Information is vital in order to make Long-Term and Short-Term production decisions. 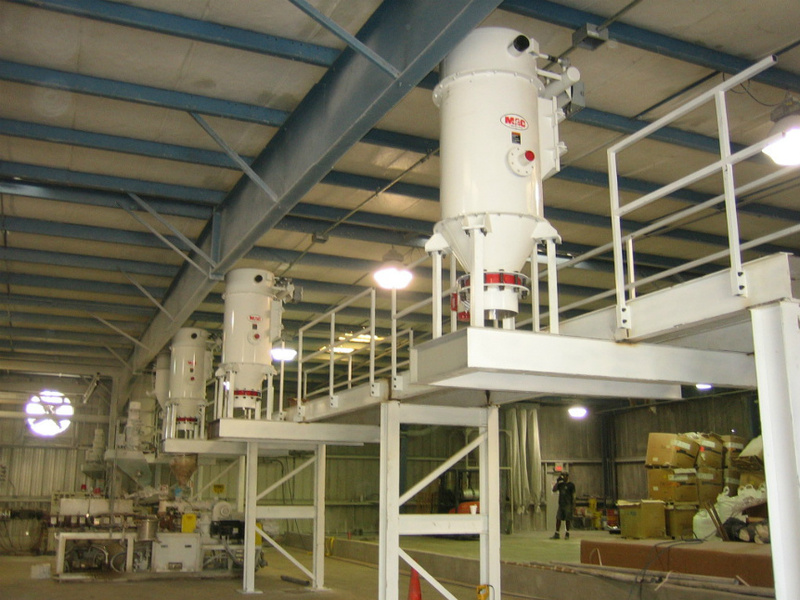 Reliance Blending Systems provide the tools to gather all the details that are necessary for management to make the proper choices for their plants growth. 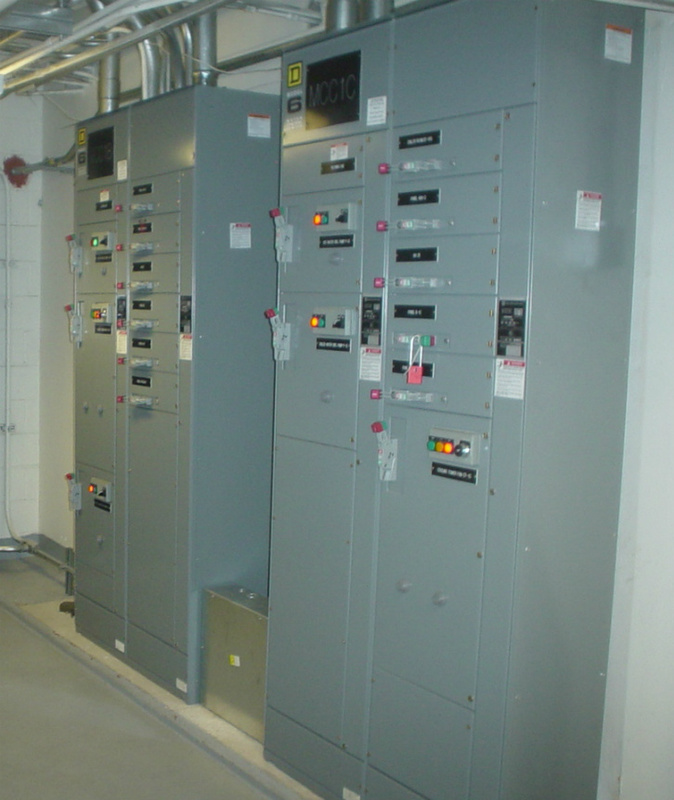 We design, manufacture, install, and service all our systems from A to Z. In order for us to succeed our customers must too. 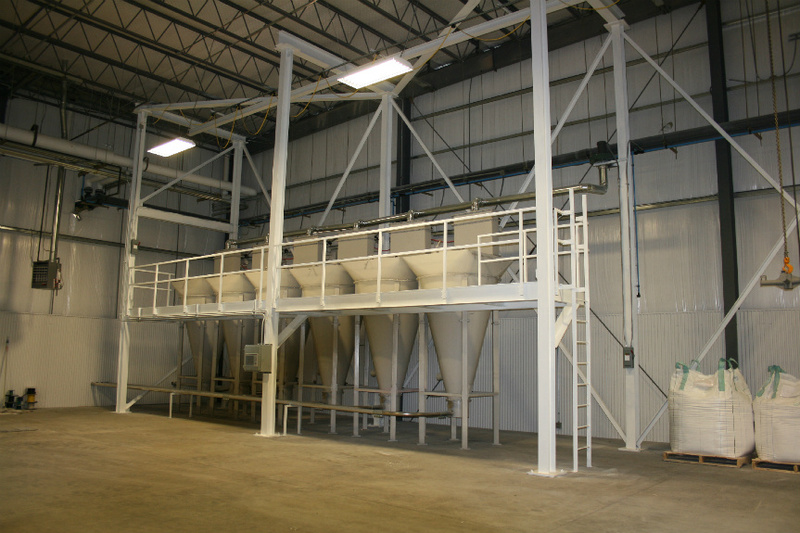 Weighing & Conveying Systems: Automating the weighing and conveying of bulk materials is becoming more of a requirement in blending production facilities. When ingredients come to the plant via rail-car, tanker, bulk bags, etc. they need to be fed into the production system via some sort of conveyance lines and weighed to accurate levels for production. Bringing in materials from silos and tanks requires properly sized lines, blowers, valves, transitions, and accessories. 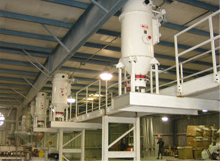 If components are not sized right the overall conveying system can drastically reduce your output from your system. As material flows into Scale Hoppers, accurate weights and volumes must achieved in order to maintain high levels of consistency and quality. 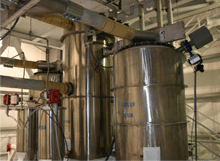 Isolation valves, load cells, air transducers, and other special instrumentation must be in place. 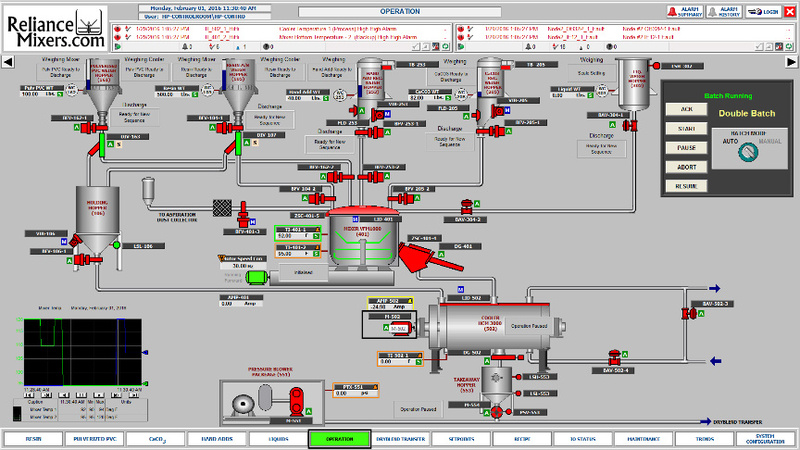 Controls & Automation:Intelligent Automation and Controls have become the norm for production lines. Improvements in production capabilities, repeat-ability in order processing, and quantifiable quality upgrades have been the driving force for the C & A Initiatives. In order to successfully Implement Blending Control and Automation projects all elements of the system must come together. 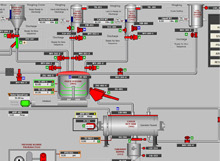 Structured system architecture, process flow diagramming, proper PLC and HMI design Coding, and electrical & maintenance design elements must be synchronized. Report Generation and Remote Assistance:One of the main advantages of a Controls Package is its ability to generate reports and integrate with existing plant systems. When information is fed from your Plants Manufacturing Systems into your Office’s Business Information Systems real time decisions and analysis can be made. To truly have a handle on your company’s operations, the correct information must be dispersed thoroughly to divisions that can make use of them. Batch/Run Reports, Inventory Reports, PM Reports, Production Reports and the such can be sent to Accounting, Maintenance, Purchasing, Sales, or whoever else needs the customized information. 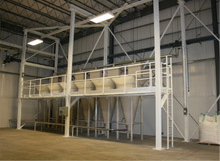 On the flip-side a Blending System can only operate at true efficiency when the proper parameters are put in place. Either the operator has to enter the parameters and recipes that need to be saved in the PLC or the internal ERP system needs to communicate the recipes and schedule. 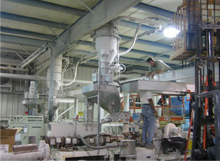 Keeping the plant running is the most critical criteria for production optimization. A plant shut down in the middle of the night due to a mechanical or electrical error can cause hundreds of thousands of dollars. 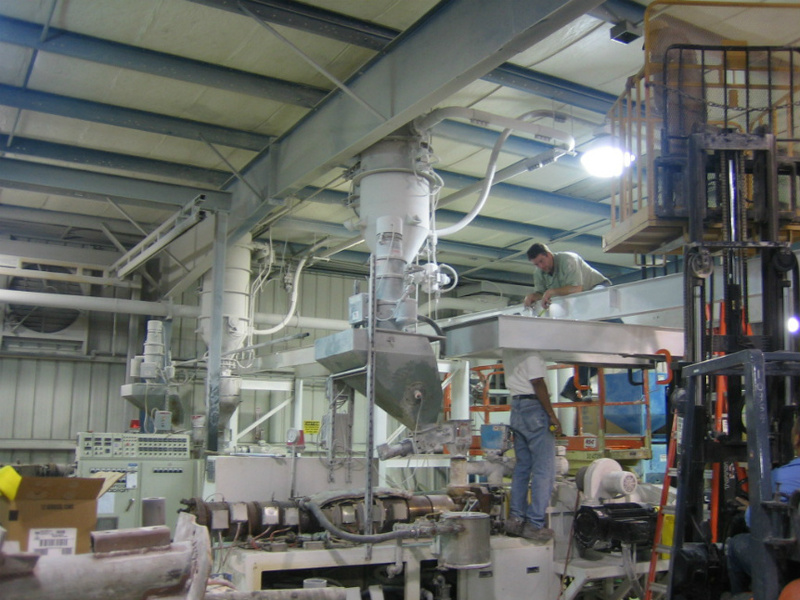 When head engineers and plant maintenance personnel have remote access to plant equipment and controls, a down line can be troubleshooted and brought back up to line in minutes rather than hours. 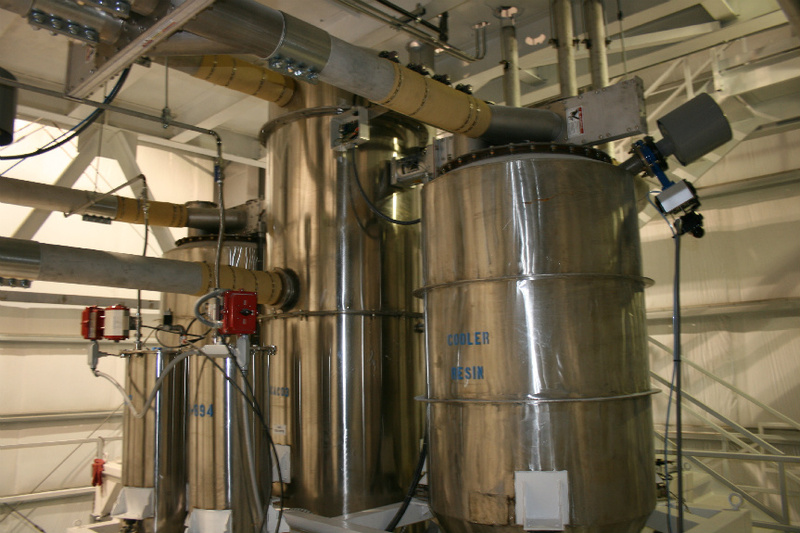 Retrofit and System Upgradation:Many aging Blending Systems can be upgraded from the technology that was used in the 80’s and 90’s when they were first created. Most of the hardware and software in these Systems are out of date and not supported by the OEM. When giving a Face-Lift to existing Systems, upgrades on basic components can increase reliability, production throughput, and can eliminate bottlenecks that have developed over time. Initial Site visits can be scheduled for Reliance Engineers to do an analysis on System Upgrades. Feasibility studies and upgrade recommendations can given upon System Analysis. Stand-alone Mixer Controls can be supplied on existing mixer. 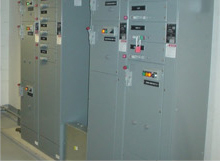 Control Panels can be supplied with VFD’s, PanelViews, and PLC’s to enable Recipe Storage and reporting.